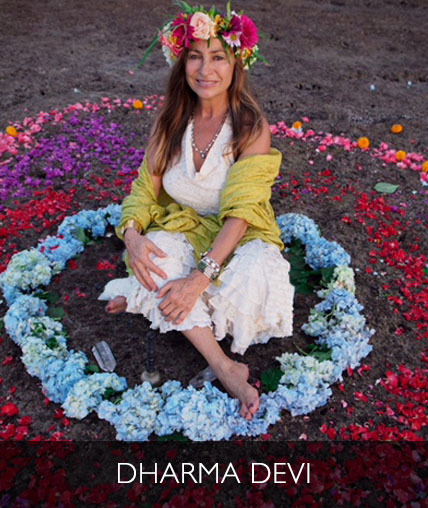 Come join me for an intimate journey into the heart of mantra, music, dance , essentials oils and heartfelt dialogue all in the spirit of welcoming the energy of Divine Mother/Goddess deeper into our lives. We will recognize and share our personal insights in relation to the power and importance of waking up and expressing the feminine spirit in the times we are living. Come celebrate the sacred herb! 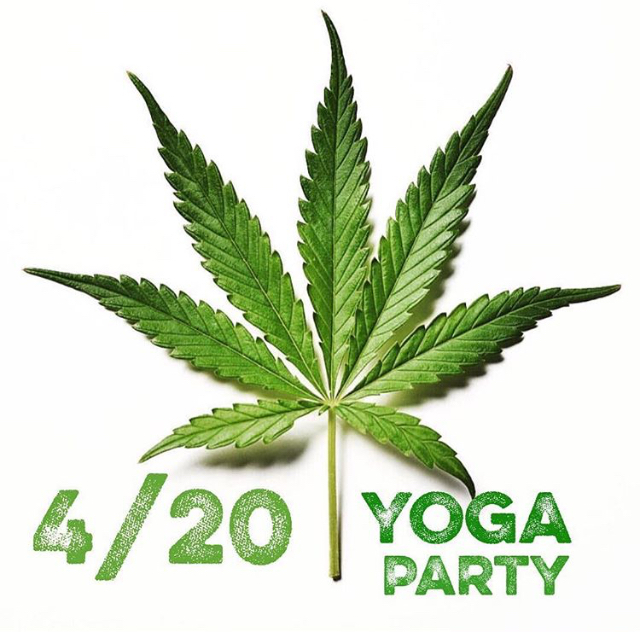 Come join Govind Das, Angel Cantu, Greg Balza, Santosh Das (Scott Greenhut) and others for an evening of High Vibe and Dharmic dialogue of the union of yoga and cannabis, yin yoga, meditation and Kirtan chanting. All are welcome. Pls no consumption on BYS premises. Come join Michael and friends for a soulful evening of call and response, chanting the names of the various manifestations of the divine. Together we will create a soundscape of sacred mantras to facilitate transformation and healing – raising our vibration as we raise our voices in celebration & devotion! 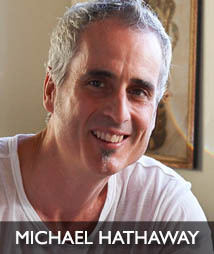 Michael's main passions are his spiritual practices of hatha yoga (he's a certified Jivamukti teacher), Five Rhythms/ecstatic dance, and Bhakti Yoga. He discovered his musicality and voice through the practice of devotional chanting & has made it a consistent personal practice since he was introduced to daily chanting at the Sivananda ashram in the Bahamas in the late 90's. Living in NYC at the time, he was delighted to discover the kirtan community, and took every opportunity to sit with the likes of Krishna das, Jai Uttal, Bhagavan Das, Shyamdas, and others. He feels grateful and blessed to be able to share his practice and medicine with others by leading kirtan – to have the opportunity to create an uplifting communal experience of group prayer. He sings some traditional tunes with his own embellishments, but mostly traditional mantras set to his original music. He sings with a sweet, heart-felt yearning – weaving a soundscape of hypnotic harmonics, joyful celebration, and fierce intensity. He humbly bows at the feet of his Teachers, and wishes only to be a sincere ripple radiating from the grace of Source. Mothertree Conscious Parent Circle's offer a nurturing and compassionate space for parents to take a breath and recharge from the fast paced nature of our modern world. 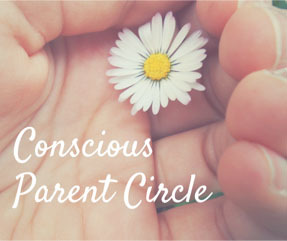 Through coming together in community to share in a gentle yoga, breath and meditative practice, these parent circles provide a moment of calm reflection as well as offering supportive strategies which can be taken home and shared with children and teens. We are delighted to host the next gathering on Friday 5.3.19, 7.30 - 8.45pm at Bhakti Yoga Shala which will focus on cultivating awareness, presence and self-compassion in parenting. The gentle inner enquiry that is promoted is beneficial for parents wishing to breathe fresh air into their parenting approaches or to bring flexibility to stuck situations. Suitable for all levels of yoga/meditation experience and parents with children and teens. Please note this is a parent only event. Jess Lakin is Yoga/Meditation Teacher & Holistic Coach, with a background in Child and Family Clinical Psychology and parenting support. Mothertree Parenting was developed following Jess’ personal observations of the benefits of yoga/meditation practice for parents. Please wear comfortable clothing, bring a yoga mat and blanket and water. Class will end with a long sound immersion. Class by donation. Email connect@jesslakin.com for more information or visit www.mothertreeparenting.com. The Clarity Breathwork process helps to activate the subconscious mind and bring awareness and insights not easily accessed through traditional therapy. Breath opens the energy channels in the body and allows what we have been holding onto to surface and be released. This may be suppressed emotional material, physical blocks in the body, old beliefs structures and identifications, old memories, escape patterns and addictions. Clarity Breathwork combines counseling and insight as well as a somatic experiential process where clients gain a deep level of clarity, release emotional baggage and actually feel the patterns shifting and transforming. This supports a deeper experience of freedom, fulfillment and joy in one’s life. A truly awakened heart knows the pathway to peace & can not help but serve humanity from it’s illumined compassion. • Allows a feeling of being connected to, and caring for yourself, the earth, and all beings. Come join us for these very special events. The one and only BHAGAVAN DAS! Back at Bhakti Yoga Shala… Bhagavan Das was the first western devotee of Neem Karoli Baba and and introduced Ram Dass and ultimately the rest of the western satsang to Maharajji. Bhagavan Das’s kirtan and teachings are deep, powerful, and full of the wisdom of the heart! He will share the dedication of his life to the eastern spiritual practices of dharma, bhakti yoga, kirtan, mantra, and meditation. Please come join us for this rare special event! Teacher, performer, counter-cultural icon, lover of God: Bhagavan Das is as rich and manifold as Existence itself. 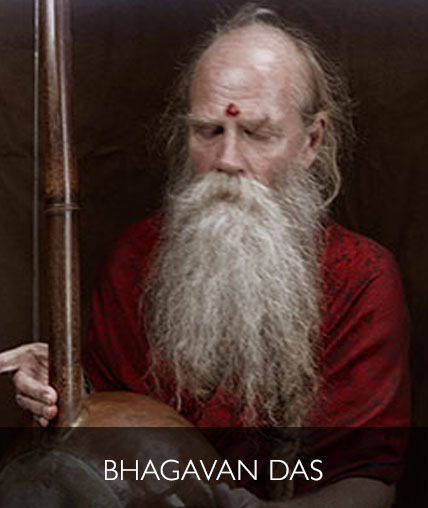 Bhagavan Das is a bhakti yogi, a shakta tantra adept, and kirtan singer. As a young man he was one of the first Western initiates/devotees of the late Hindu holy man Neem Karoli Baba, as well as the first American to meet Kalu Rinpoche of the Shangpa Kargyupas lineage. He has received Vajra Yogini initiation from His Holiness the Sixteenth Karmapa Rangjung Rigpe Dorje of the Karma Kagyu lineage and Chögyam Trungpa Rinpoche, the 11th Trungpa Tulku. During the almost seven years he spent as a wandering ascetic in India, Nepal and Sri Lanka he received numerous initiations and teachings from living saints and sages including A. C. Bhaktivedanta Swami Prabhupada, Swami Chaitanya Prakashananda Tirtha, Maharishi Mahesh Yogi, Sri Anandamoyi Ma, and Tarthang Tulku of the Dudjom Rinpoche lineage. 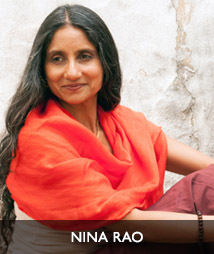 In 1972 in California he married his girlfriend, Bhavani, who was expecting their child; subsequently their daughter, Soma, was born in New York. In 1974 in Berkeley, California, he met Usha, who eventually became his common-law wife and bore him a son, Mikyo, and a daughter, Lalita. Bhagavan Das guided spiritual teacher Ram Dass, at the time known as Dr. Richard Alpert, throughout India, eventually introducing him to Neem Karoli Baba. Bhagavan Das gained fame after being featured in Ram Dass' book Be Here Now, which described Bhagavan Das' role in his spiritual journeys in India. Bhagavan Das travels widely throughout the world as a performer of traditional and non-traditional Indian bhajans and kirtans, and is the author of an autobiography, It's Here Now (Are You?). Enter the Sonic Womb. Immerse yourself in timeless and expansive soundscapes where angelic harmonies, soulful rhythms and heartfelt tones lead you back home. 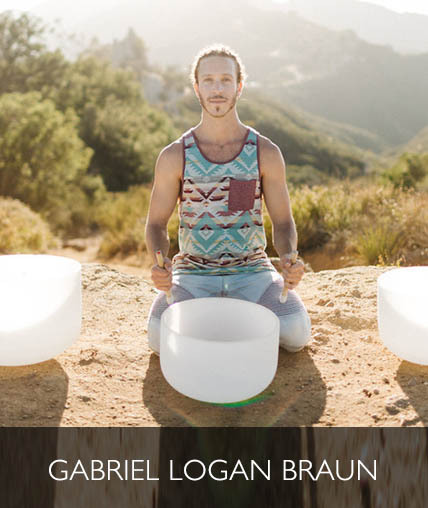 A Sound Healing Journey with Gabriel Logan Braun is a healing journey of mindfulness and movement. It's a dynamic and improvisational expression in response to what’s needed in the room to create a deeply healing and restorative experience for the participants. From his angelic tones to soulful beat boxing, Gabriel’s heartfelt and earthy sound comes through his music to create experiences for people to celebrate the human spirit. By creating timeless and expansive soundscapes where there is nothing for the mind to hold onto, this allows for participants to really let go and unwind from their day. At times, light percussive vocal rhythms and harmonies are interwoven to create a feeling of containment and safety which allows the mind to better focus, the body to relax and the nervous system to return to homeostasis. Hi, my name is Gabriel Logan Braun. I am a seasoned sound healer, holistic musician, and life coach who has been providing Sound Healing to residential treatment centers, wellness centers and yoga studios. Over the last 9 years, I’ve worked at multiple treatment centers including Passages Malibu, Journey Malibu, Living Rebos, have traveled across California, Arizona, Oregon, Washington, and Canada facilitating Sound Therapy and have partnered with yoga teachers to facilitate workshops at the the Esalen Institute. 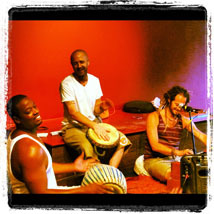 I also facilitate ongoing Sound Healing Journeys at the Dance Alive Center in Santa Monica, CA. 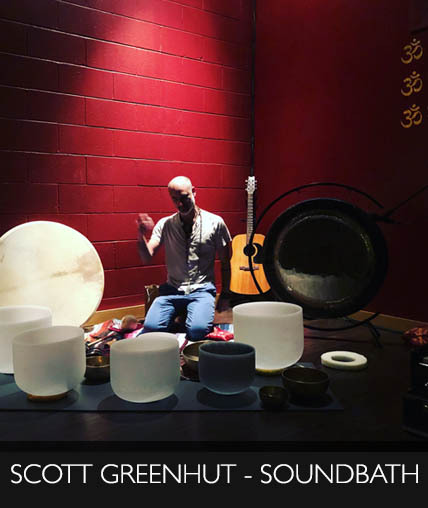 Scott performs each sound bath with the intention of providing a healing experience to leave you feeling centered, re-calibrated, and recharged. His Cosmic 432 hz acoustic soundscapes are created through an intuitive stream of consciousness process using Quartz Crystal Singing Bowls, Tibetan Bowls, Shamanic Drums, Planetary Gongs, and other magical instruments to lead you on a harmonizing journey, all while subconsciously opening up energy channels to a natural state of healing receptivity. Scott is a Southern California Native, living and loving life in Venice Beach. He is certified in various healing modalities of Yoga, with more than 500 hours of Trainings in Yoga, Kirtan, Sound Healing, meditation, and Reiki. Scott combines his experience and passion for Yoga, Sound, Vibration, Reiki, Love, and Service to provide a safe space of peace and healing for all. What is 432 hz? “Mother Earth’s Heartbeat”....the frequency of lightning and thunder, dolphins, whales, birds chirping... The 432Hz frequency is known to release emotional blockages, and expands consciousness. It assists to put us in harmony with the never ending or beginning frequency code of the Universe. It allows us to be more in sync with the innate knowledge of the Universe in a more intuitive way. In this way 432 Hz Frequency naturally restores homeostasis to our human condition and assists our integration with all that is. 432 Hz is said to be mathematically consistent with the sacred geometry of the Universe. When our cells, atoms and DNA start to resonate in harmony with the frequency of the universe, our sense of oneness with all that is, becomes not only magnified, but healing as well. 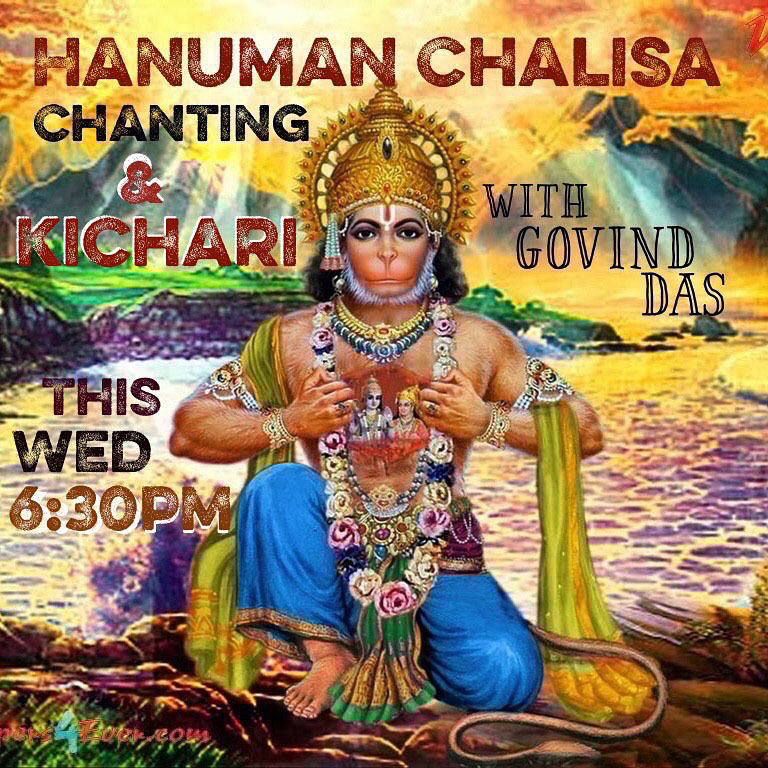 Come join in the exploration and passionate art of chanting the divine names from the Bhakti Tradition. 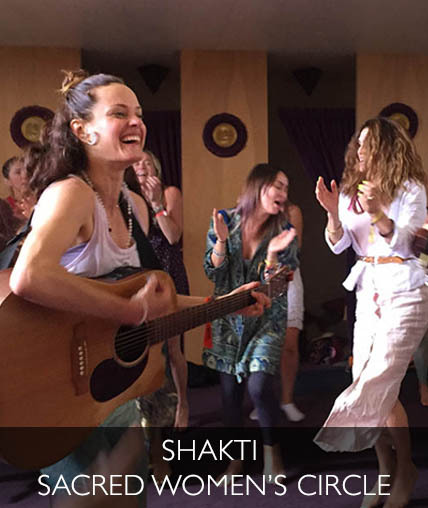 We will learn and explore a deeper understanding of the kirtan mantras, gods and goddesses, gurus, and how we can integrate the bhakti practices into living at our highest potientiality. Come sing, dance, and enjoy laughter and community. For the newbies to kirtan/chanting, just bring yourself. no special clothes or yoga mat needed. If you have a meditation cushion or blanket, it may be nice to sit on. EVERY MONDAY NITE! !